Nothing transforms the look of your home the way that new siding can. 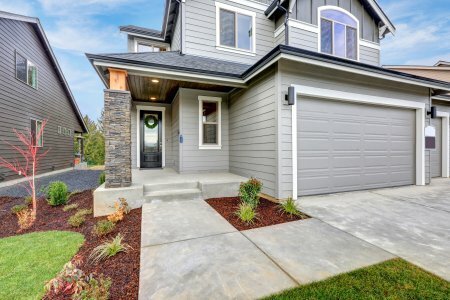 Installing	new siding on your home will raise your curb appeal and property value,	and it can even help with insulation and energy efficiency. There are	a number of quality siding materials to choose from, giving you plenty	of options to find the perfect siding design for your home. Vinyl siding is the most popular and common siding choice, but metal and	fiber cement also are great options for homeowners. At Precision Roofing	& Construction Inc, we will help you find the best siding material	for the look you want to achieve and give you an expert installation with	high quality products. We offer free estimates on all our work in St. Clair County, Sanilac County	and the surrounding areas, so call us today at (810) 987-3508 or click	below to get started on your home siding upgrade. Siding can be subject	to wind damage. If you need to submit an insurance quote, we can help! We work directly with the insurance company to ensure your claim is handled	promptly and efficiently. Vinyl siding is the most popular residential siding material, providing	excellent affordability, durability, and versatility. Vinyl is very low	maintenance and easy to clean. There are a wide variety of colors and	styles to choose from, so you can design just about any look you can think	of your home. Even better, vinyl can be made to match the appearance of	materials such as cedar shingles. At Precision Roofing & Construction Inc we understand the challenges	of finding the right siding material for your home. Our trained professionals	will work with you to ensure that you get exactly what you need for your	needs and for the appearance that your are looking to achieve. New siding offers great benefits for your home, so don’t wait to	call us for an upgrade! We offer free estimates on all our siding installations	and other exterior improvement services.